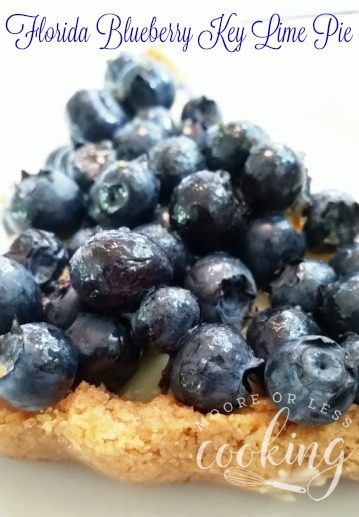 Florida Blueberry Key Lime Pie: creamy, tangy key lime custard topped with juicy sweet blueberries inside a buttery, crunchy crust. As soon as the weather gets warmer, I start to crave Key Lime Pie. 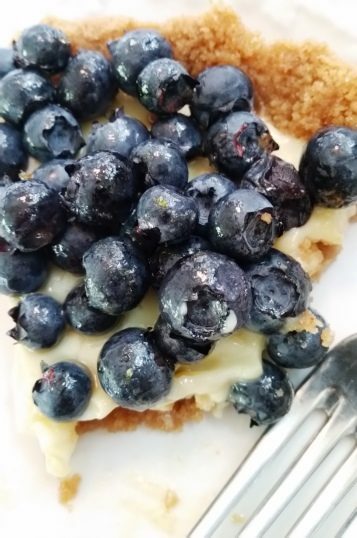 I have made many key lime pies in my baking days and since I absolutely adore blueberries, I thought I would bring them together to make a fantastic Blueberry Key Lime Pie. This is the perfect pie for a get-together pot-luck or picnic. Everyone will gravitate towards this dessert. It’s just too pretty to pass up. The sweet and tart combination is amazingly delicious. 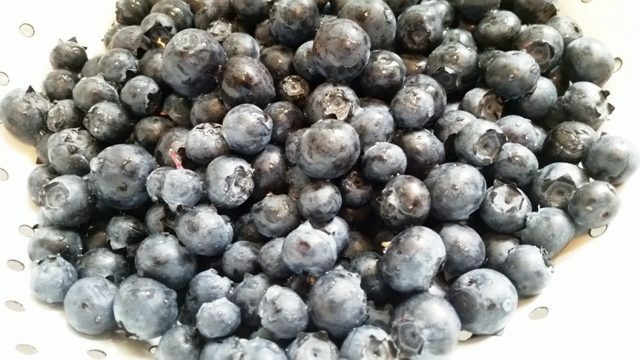 Fresh From Florida blueberries are perfect by the handful or in this mouth-watering pie. Fresh From Florida and the Florida Department of Agriculture guarantees fresh and delicious food that make every recipe a win. They inspire me to make healthy and wholesome meals with nature’s finest ingredients for my whole family to enjoy. 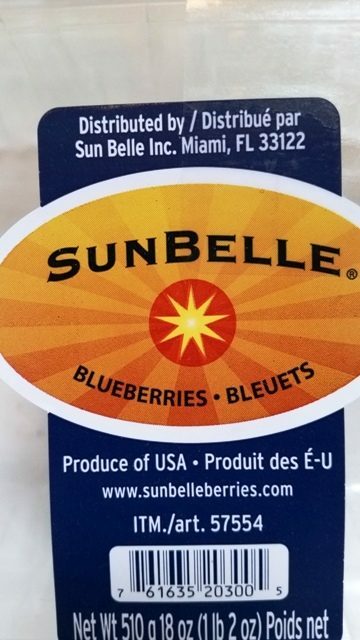 These beautiful and colorful blueberries are locally grown in the wonderful state of Florida. This pie is super simple to make with just a few steps. Mix graham cracker crumbs, sugar, and butter in a bowl. In a 9-inch pie pan, pat down graham cracker crust mixture on the bottom and sides of pie plate. Bake. In a bowl, mix egg yolks, sweetened condensed milk and Key Lime juice with a whisk. Pour into graham cracker crust, Bake. 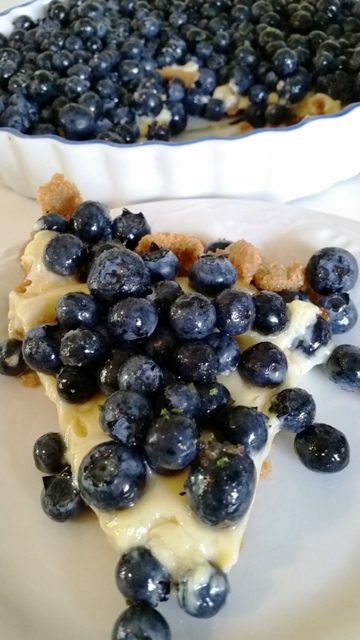 Layer blueberries into one layer over key lime custard. Brush warm jam mixture over blueberries. Refrigerate. Serve when ready. 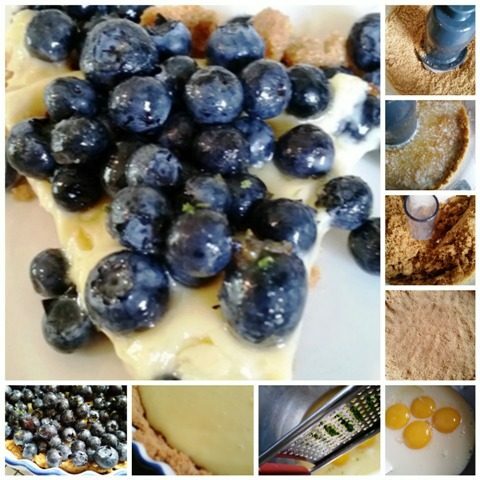 Creamy, tangy key lime custard topped with juicy sweet blueberries inside a buttery, crunchy crust. In a medium-sized mixing bowl, combine graham cracker crumbs, butter and sugar. Press the graham cracker mixture into the bottom and sides of a 9-inch pie pan. In a medium-sized mixing bowl, combine condensed milk, egg yolks, Key lime juice and Key lime zest. Use a whisk to make sure all ingredients are combined (the combined ingredients will naturally thicken slightly). Pour Key lime pie filling mixture into the cooled graham cracker crust. Bake pie for 10 to 15 minutes or until the pie looks almost set. Remove pie from oven and let cool to room temperature. Cover pie and place in the refrigerator as it is best served cold. To serve, top pie with fresh whipped cream and slices of fresh Key lime. Heat the apricot jam and water in a small saucepan over medium heat until completely melted. 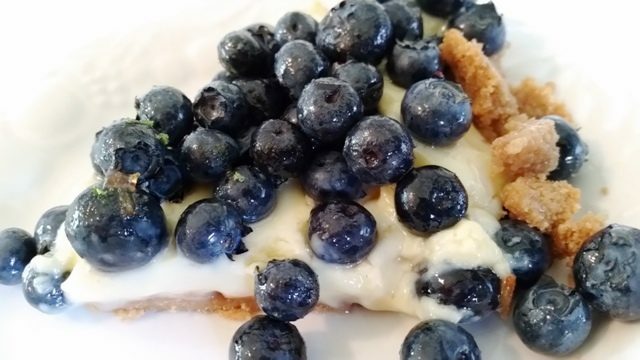 Arrange blueberries in a single layer over the key lime pie. Using a pastry brush, brush a layer of melted jam over the blueberries. It’s on my 4th of July list! Thanks!